For people making jump from Windows to Linux the biggest problem is adjusting to new environment and applications , now even though these days really good open source alternatives to applications on Windows platform are available but still many people prefer using Windows applications . Or you might use a application layer called wine to run Windows application natively on Linux . While most of the people would prefer wine to run their windows application because it does not require one to have a licensed copy of windows , however application support in wine is still patchy with some applications working flawlessly and some application not working at all . So well that leaves us to virtualization softwares . Over the years there has been significant development in virtualization technologies . Now there are number of applications available both in open source and commercial domain that allows running of one operating system inside another operating system . 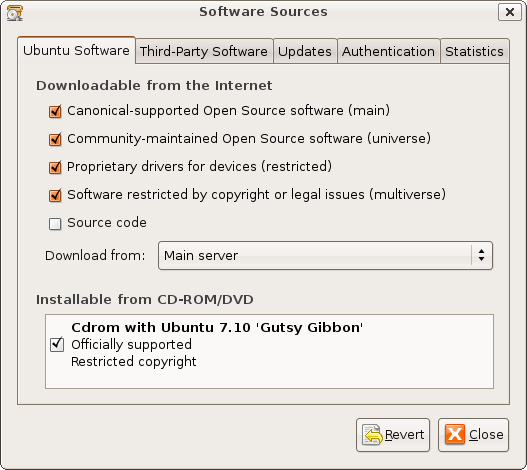 Some of such popular applications available on Linux platform are : Innotek VirtualBox , Qemu , Vmware , Win4Lin and Bochs . 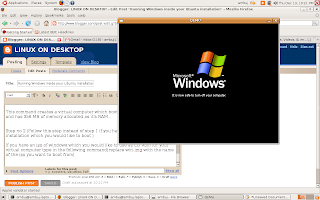 In This article we discuss how to install Microsoft Windows XP inside Ubuntu using QEmu and Virtualbox . Qemu has many features not available in similar such products like VMware , bochs etc like increased x86 emulation with accelerator module (kqemu) . We would be primarily showing you how to install Windows XP under qemu with accelerator module enabled . 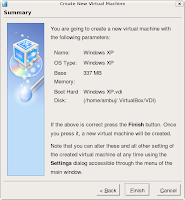 VirtualBox : - InnoTek VirtualBox is a commercial PC Virtualization software similar to Qemu and Vmware and allows running of one operating system inside another . 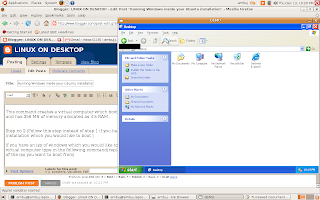 InnoTek VirtualBox though is a commercial software , however there is a limited free version of VirtualBox available too which we will discuss briefly in this article . After the file is opened in the gedit text editor add the following line in the file and make sure you add a newline at end of file too . Now once the group "kqemu" is created we need to add the users who would be using kqemu to this group we can do this by issuing the following command in the terminal window , remember to change $USER with the user's login name for example in my case it is "ambuj" (so command issued was sudo adduser ambuj kqemu ). Now logout of the session and loggin again so that these changes are reflected properly . If you have followed steps properly you should have qemu with kqemu module working properly and now you could move forward and install Windows XP . To install Windows or any other operating system we first need to create a virtual drive which is basically a file residing in your linux partition which would be used as a hard disk for your Guest operating system . This would create a virtual drive by the name of win.img which is 4GB large . You might like to tinker with the size of the virtual drive or it's partition drive . This command creates a virtual computer which boots from your local cd rom and has 356 MB of memory allocated as it's RAM . Important: - if you want to install Windows 2000 add an additional option "-win2k-hack" , if you proceed without adding this option the installer might fail with message "Not enough diskspace " even though there may be sufficient. 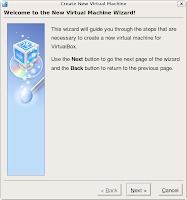 Now entire interface of VirtualBox is very user friendly and wizard based so well there should not be any problem in installing guest operating system inside VirtualBox hence i am not listing procedure here . There is also VMware server. 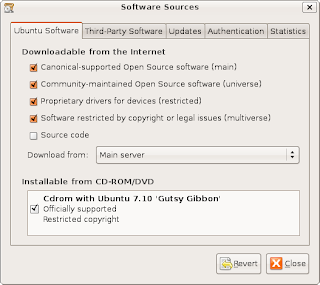 It is fairly easy to install and I found it to be quite a bit more stable then either qemu or VirtualBox. Not OSS though and only free for non-commercial use. Should these lines be in two different files? For the second line it just says "now open the file and modify the content ...". I'm not too familiar with udev yet. I have followed all the steps in the mentioned order. Anyone has also problems building the kqemu module? I just installed W2k on qemu and kvm before I'd learned about the existence of kqemu. Can I 'upgrade' the qemu install with kqemu, and if so will the existing W2k image be accelerated? i've got this error message when installing virtual drive "You do not have enough space in '/dev/shm' for the 356 MB of QEMU virtual RAM. Or disable the accelerator module with -no-kqemu"